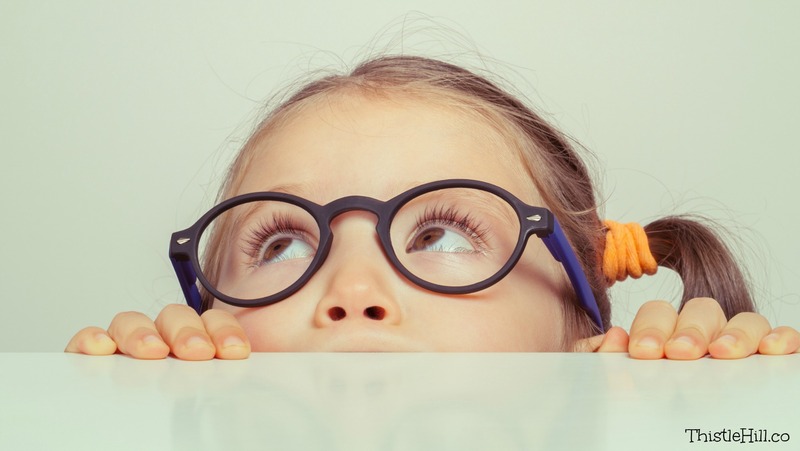 Preparing for school to start can create a major case of first day jitters. The first day of school can be tough for both parents and children. It can be especially difficult if this is the first time they are attending school. As a parent, you have prepared yourself by spending an abundance of time researching the school by looking up reviews on Google and talking to neighbors and friends about their experiences with local schools. As a parent, I’ve done my fair share of researching schools and weighing the pros and cons. Once you have that out of the way, the next step is to prepare those kiddos. Now, let’s prepare those kiddos so they don’t experience the first day jitters! The truth is, as it is with any new experience, a change like this may be scary for a young child. I find this to be true not only for my special needs kiddo but my other kids as well. Your child may need some additional support to get ready for their first day of school, and that’s ok. In this post, I am sharing some ideas to help you along the way. Here are some ways to avoid the first day jitters. Visiting the school before the first day is a great strategy to get your kiddos excited about this new adventure. If you can, schedule a visit with your kiddo so they can meet with teachers and office staff prior to the start of the school year. It will give your children the chance to become a little more familiar with their new daily environment. It also helps answer all of those questions kids might have about what to expect. For my special needs kiddo who is starting kindergarten in the fall, his school has arranged to have him visit outside of the normal back to school time slot to give him a chance to really explore and meet his new teacher and aides. Since he has social anxiety and just anxiety in general, this will help tremendously. I was very grateful that his school offered this option. If you think it would help your kiddo, all you need to do is ask your school and schedule a time for a visit. Another way to avoid the first day jitter is to create a solid routine for your kiddo before school starts. Depending on your kiddo’s needs, I would suggest starting this routine a week before school starts. Starting a routine is a great way to get your children prepared for the school year ahead. Have a set bedtime routine that they follow every night and a morning routine that follows every day. At night, you can choose clothing for the next day and pack a lunch with you. In the morning, you start with the tasks they will need to complete to be ready for the school day. Having a routine established prior to the first day of school will help them to feel a semblance of normalcy. It will also help them as they take their first step into school. Get your kids involved by giving them something to look forward to on their first day of school. You could shop for school supplies, make a special lunch that you pack together, buy a new outfit they are excited to wear or it could be something as small as a new backpack. Whatever you choose to do, get them excited! Giving your kiddo something look forward to on their first day of school, above and beyond the excitement of their first day, will encourage them to feel positive about this adventure. 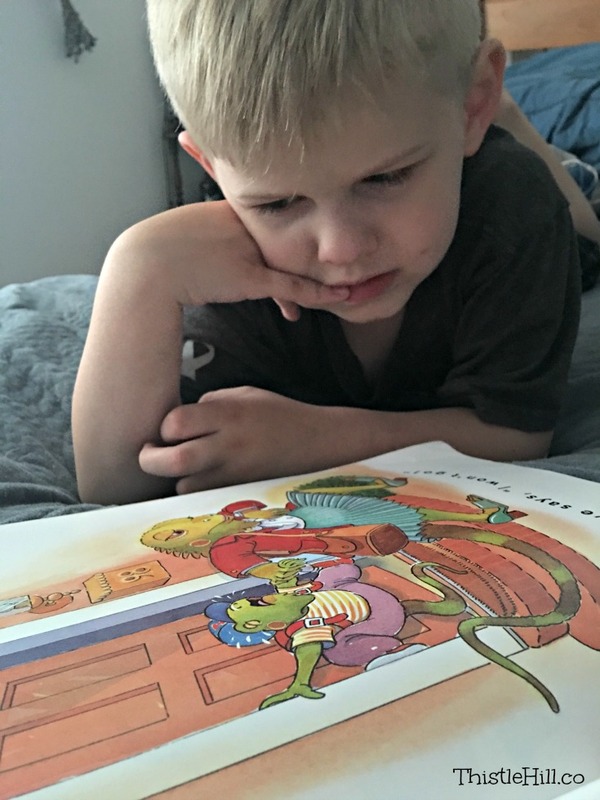 Here is my kiddo, J, reading Ms Bindergarten Gets Ready for Kindergarten! As if we need another reason to read books… here it is anyway 🙂 Reading to your kids is a great way to ease the first day jitters. These are some of my favorite back to school books. 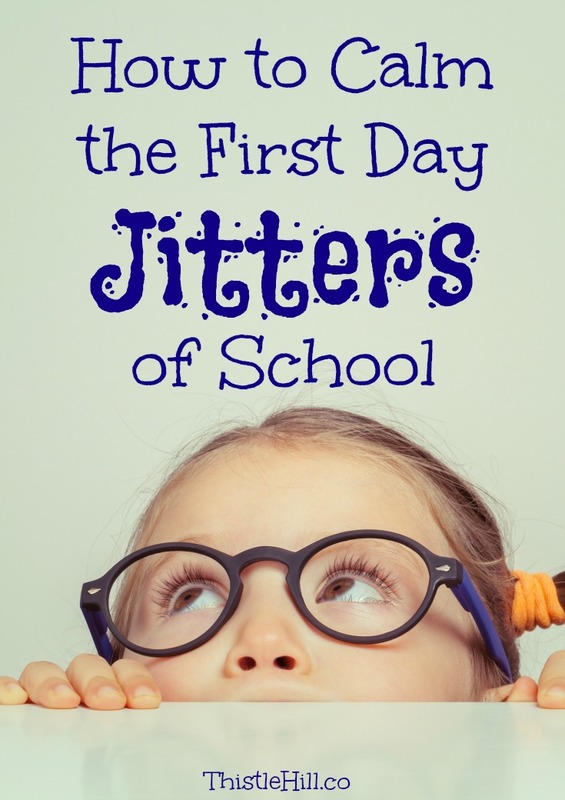 This adorable book will help ease the first day jitters for any grade. The surprise ending will provide lots of smiles and giggles. The first day of school can be a bit tricky for the students, but did you know that it can be a hard day for the building too? This silly story will help kids understand as well as bring a few giggles into the equation. One of the best books to read in anticipation of the very first day of kindergarten. With rhyming text and silly stories from A-Z this book will help your future Kindergartener prepare for their big day. My son’s favorite! A positive and fun book that will give your kiddo a fantastic attitude about their upcoming school year. My kiddo LOVES monsters. Anything and everything that involves monsters, he gets excited about. That’s why I had to include this on my must-read list of back to school books. For even more monster fun, head on over to my post that has a ton of Silly Monster Stuff. From one of the most adorable book series ever comes a brilliant story of how dinosaurs go to school. Not only will this book get your kiddo excited about school, it gives them a chance to use their imagination. Being mindful of feelings, expectations, and actions can help your kiddo learn how to manage their emotions. Practicing mindfulness includes being intentional about your feelings and actions. To acknowledge and accept your feelings, regardless of if they are good or bad, helps regulate and control your environment. I carry The Little Book of Mindfulness around with me to read for a minute or two when I have a chance. Here are a few of my favorite kid’s books that teach mindfulness as well. Controlling emotions starts with some simple breathing exercises. In this book, kids learn how to imitate a bear making the practice come as second nature in no time at all. I started using this trick with my youngest son, J. He has autism, which makes going back to school a bit more tricky. He has always been very clingy and transitioning from one activity to another has been very difficult for him. It gets so bad at times that he works himself into a meltdown causing him to shut down for the day. It causes him to miss out on the activities and brings about a very stressful situation for him. This year, J will be going into kindergarten. To help with his first day, and possibly his second, third, fourth, and so on I will be using a marker to draw a heart on the back of his hand and on the back of my hand. To prevent it from washing off throughout the day, use Liquid Bandage to seal the heart. When he gets scared or overwhelmed at school, he can push on his heart for a little extra love from mom and I will push on my heart to send him extra love. 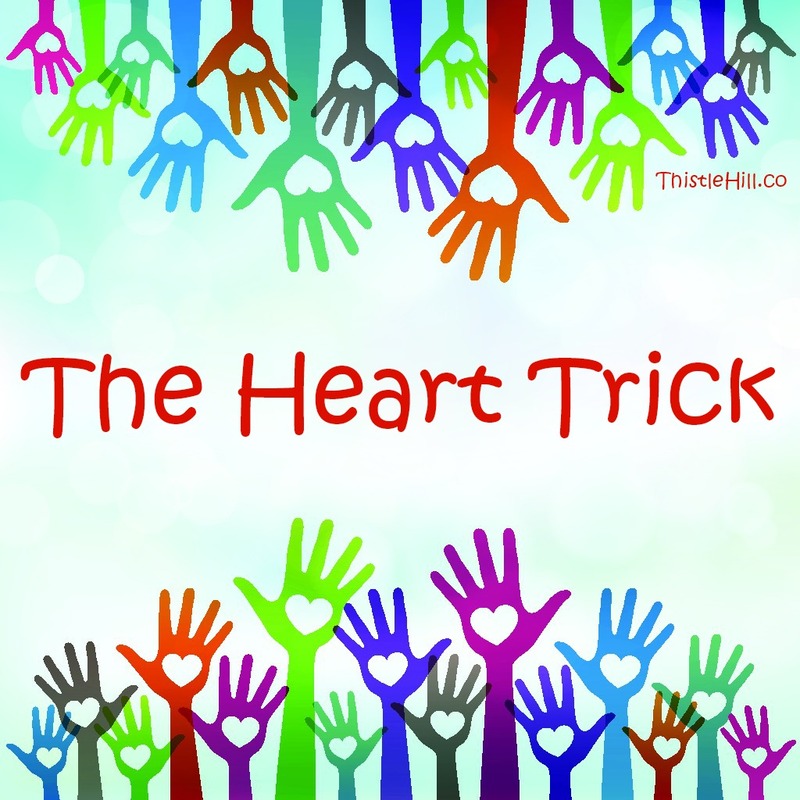 The heart trick helps because it gives him something to focus on instead of dwelling on sad emotions. It also gives him a way to connect with me even when I’m not around. You could also do this with a treasured rock they can slip in their pocket or even a set of worry dolls. Since we’re a few months into the school year I wanted to update everyone. The heart trick has really helped! You can read more about my kiddo’s experience here! Staying positive is a great way to model behavior that you would like your kids to practice. When emotions get high and you can see the first-day jitters setting in. Remember to prepare those kids the best way you can by visiting the school, reading books, getting them involved, and by giving them something to look forward to. It’s ok to let your child know that you’re feeling a bit sad too, but reassure them that they are going to have a great time while at school and when the day is over, you will see them again. For some more ideas, head on over to my other post that lists 20 Ways to Make the First Day of School Special. How do you calm the first day jitters of school for your kiddo? Has one tip helped more than others? Share your experience with everyone in the comments!